Are you new here? Well Low Power PCs are growing in popularity, but it's still pretty hard to find information about them! You can get the latest news about energy-saving computers by subscribing to the RSS feed. 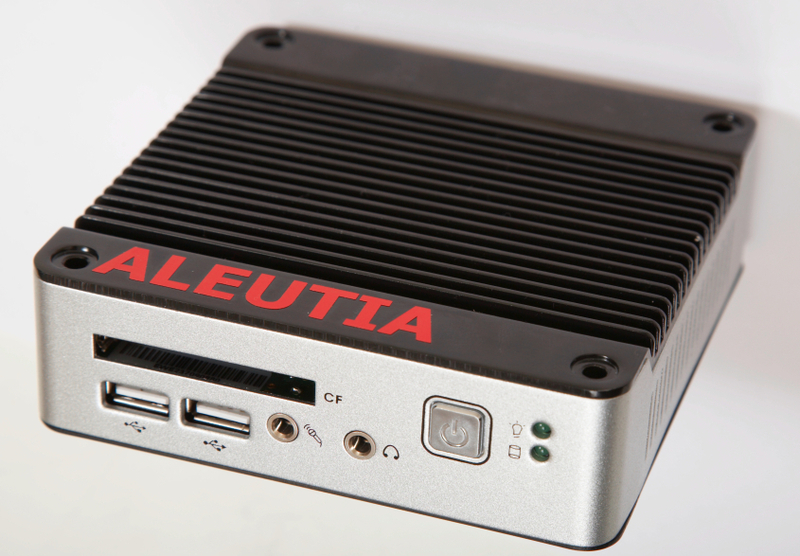 The Aleutia E2 low power pc is a robust PC that was designed to be used for off-grid computing, such as in Africa. The Aleutia E2 consumes just 8 watts of power. Most desktop computers consume around 200 to 400W! The Aleutia E2 measures only 11.5cm x 11.5cm x 3.5cm and weighs 500g. The 500MHz x86 VIA EDEN Ultra Low Voltage CPU is tucked away in the robust casing, along with 1GB of onboard DDR2 RAM. The Aleutia E2 does not have a hard drive, instead it runs Ubuntu Linux from a 4GB compact flash card. There is an option that has a hard drive too, which is a 2.5″ 80GB hard drive installed inside the case. If you want to listen to music, then there is a headphone port, as well as a microphone port. You can also plug in external USB drives using one of the 3 USB 2.0 sockets. External drives only increases the Aleutia’s power consumption to 11W. What’s also useful is that the PC has screw-holes that allows it to be attached directly to the 100mm x 100mm interface on back of most LCD monitors. This means that you get a really tidy desktop. With the low power consumption, you can actually power the Aleutia from a solar panel! However, for best results, it’s worth hooking it up to a battery that’s being charged by solar energy. So there you go, a tiny PC running on very little power, and it can run from a solar panel!